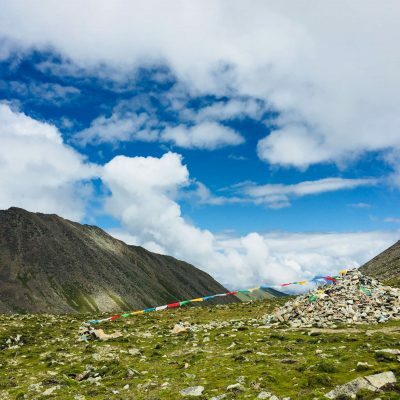 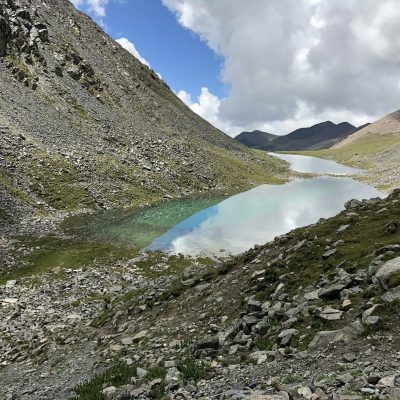 The Ganden to Samye trek is one of the most beautiful treks in Himalayas. 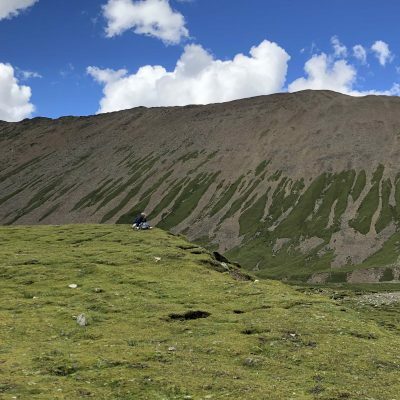 The level of difficulty is moderate, you will go over two high passes: Shuga-la Pass (5,250 meters) and Chitu-la Pass (5,210 meters). 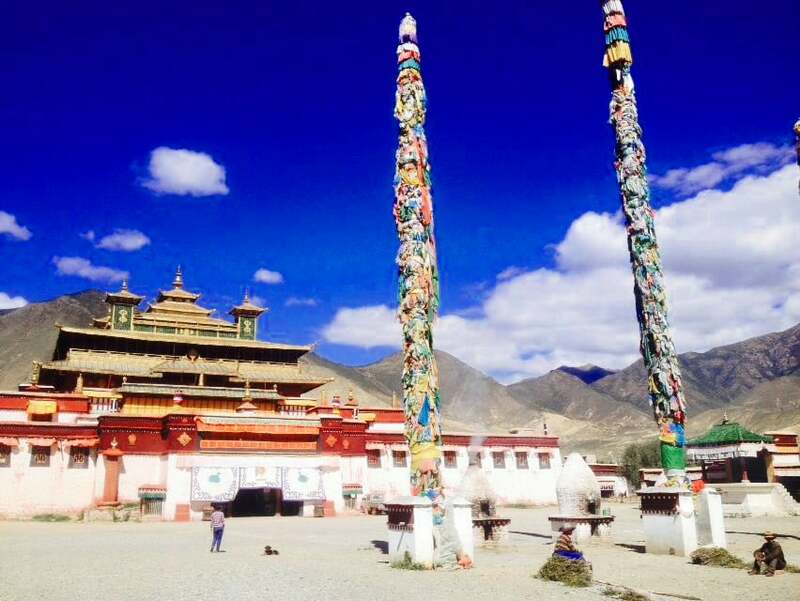 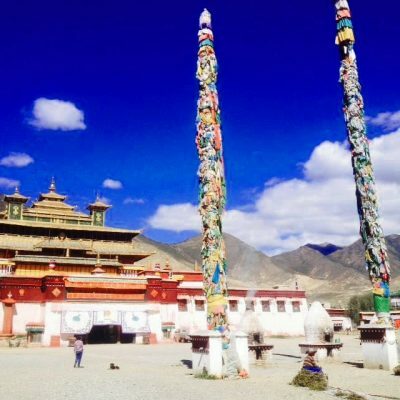 The Ganden to Samye itinerary allows time for acclimatizing before the trekking. 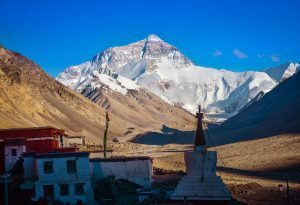 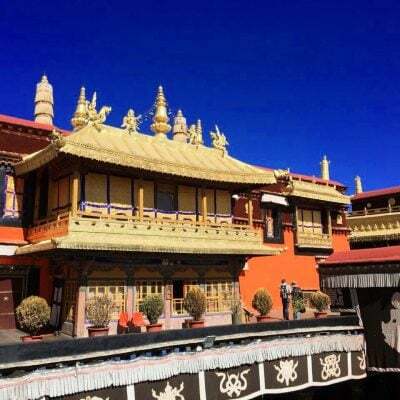 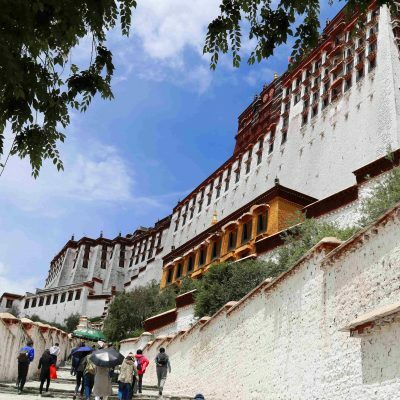 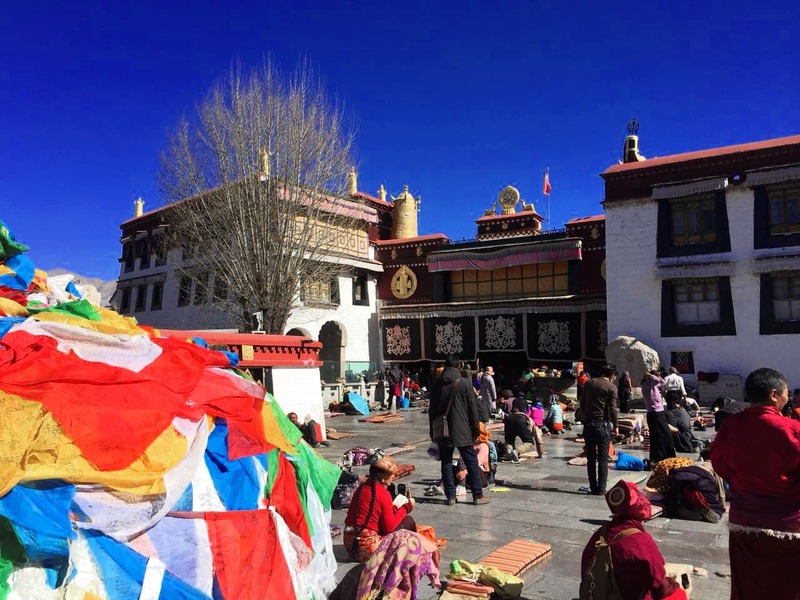 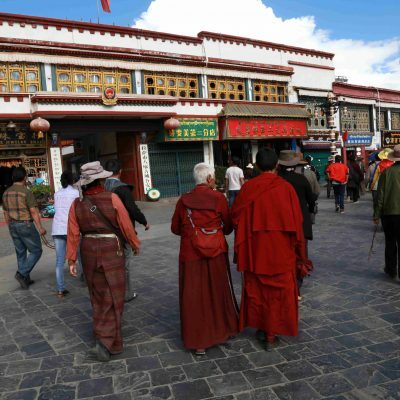 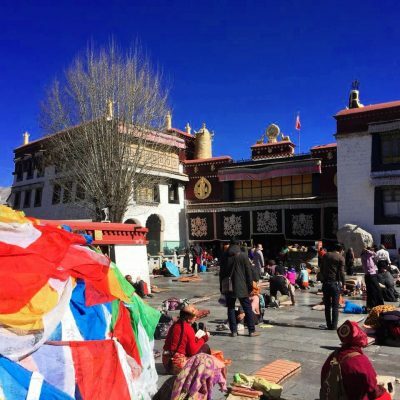 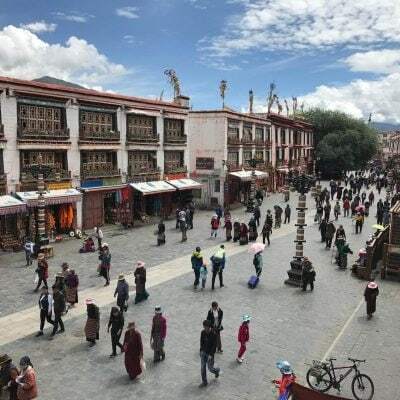 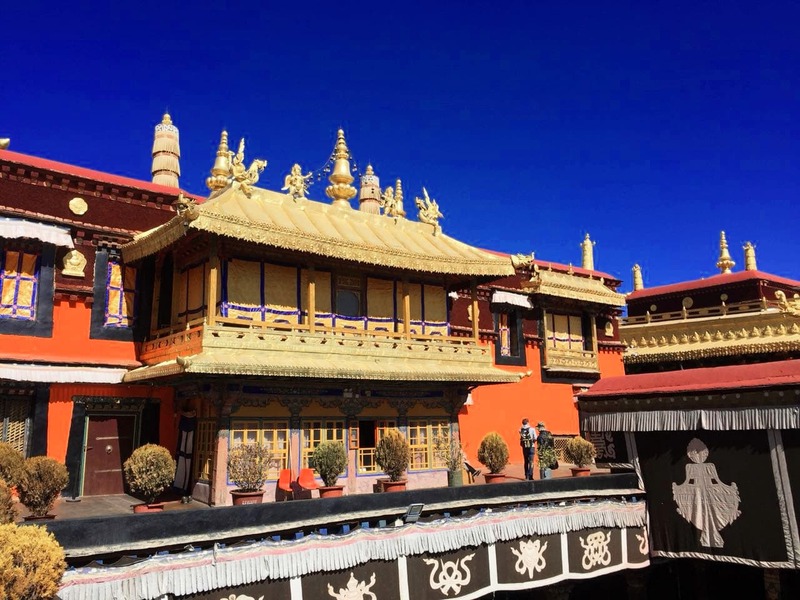 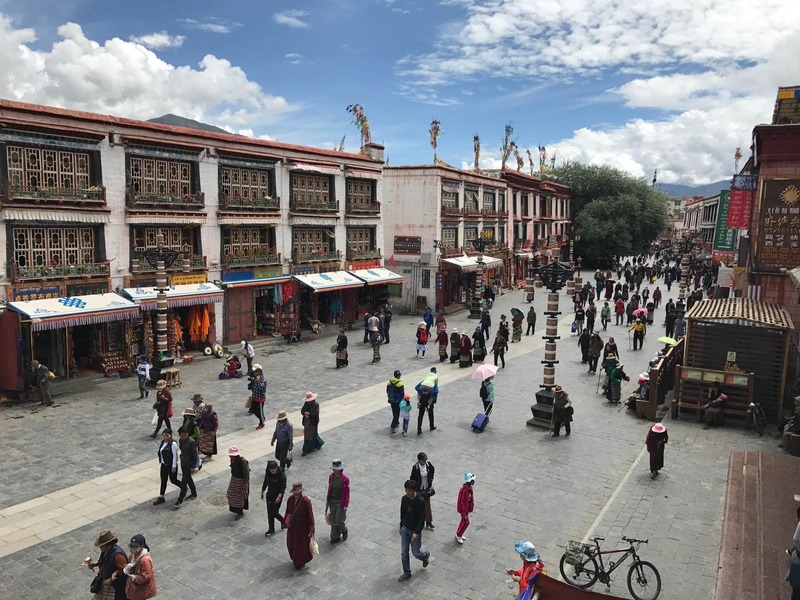 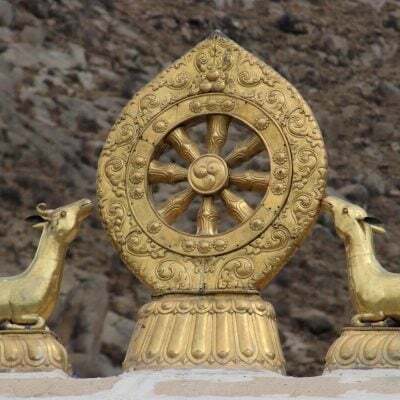 We will spend three days in Lhasa, the capital of Tibet at the altitude of 3900 before heading towards Ganden monastery, where our adventure begins. 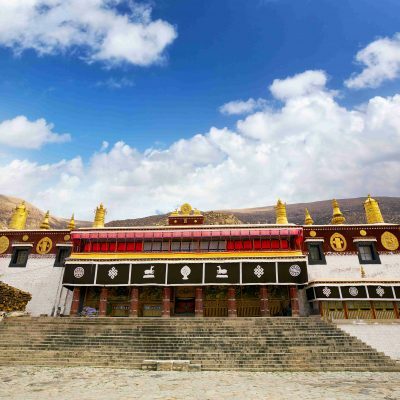 The trek is usually 4 days long and at the end we reach Samye monastery, the first Buddhist monastery in Tibet. 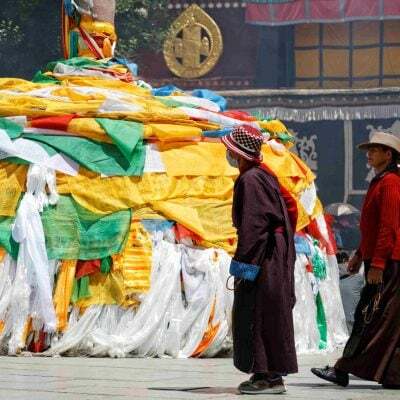 Today we will drive to Ganden Monastery, the starting point of our trek. 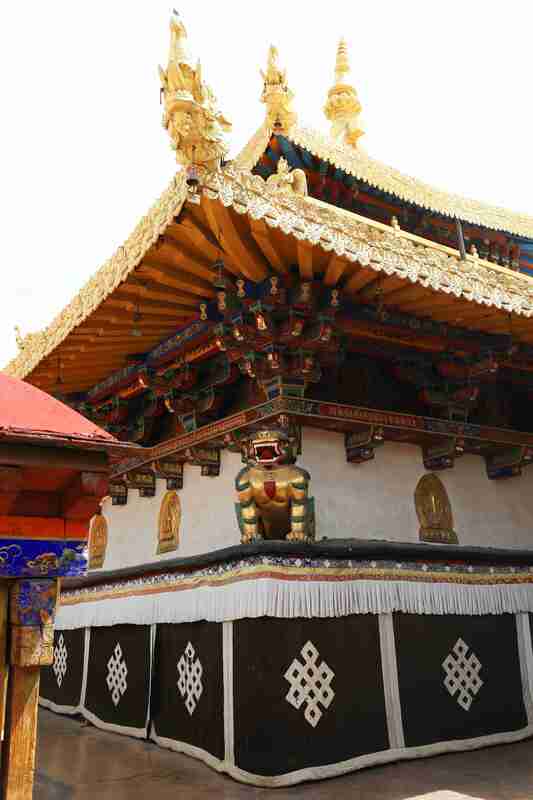 The monastery was built by Tsongkhapa in 1409. 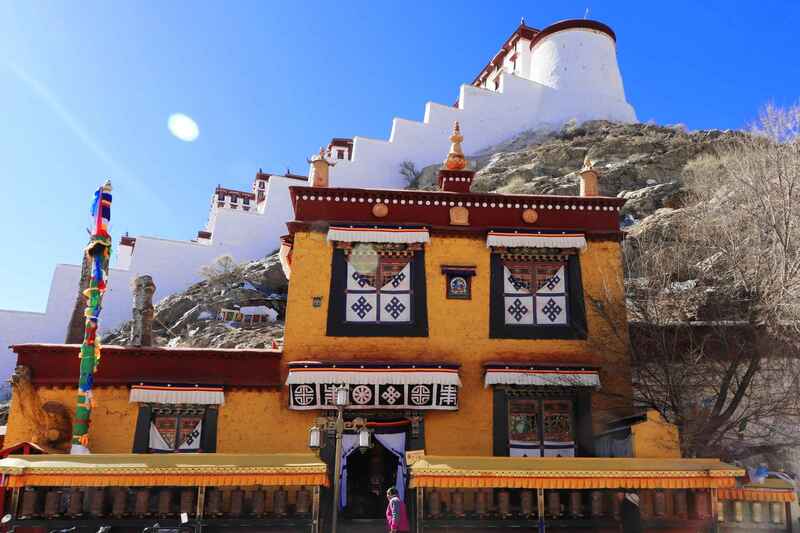 Monastery is founded 60km away from Lhasa on over 4100m high Wangpori hill. 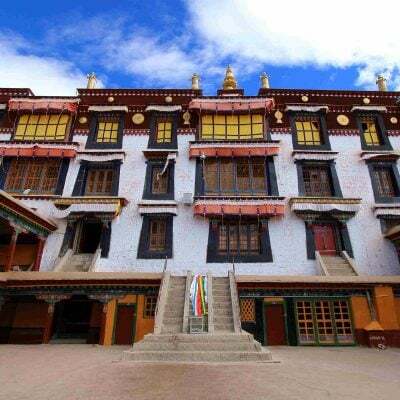 It is first monastery of Gelugpa sect. 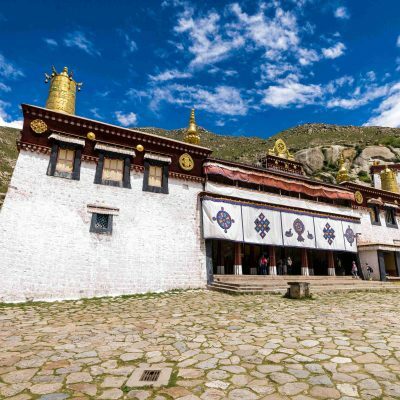 We will walk the circuit (lingkor) around the monastery where you can get an incredible view of the Kyichu valley. 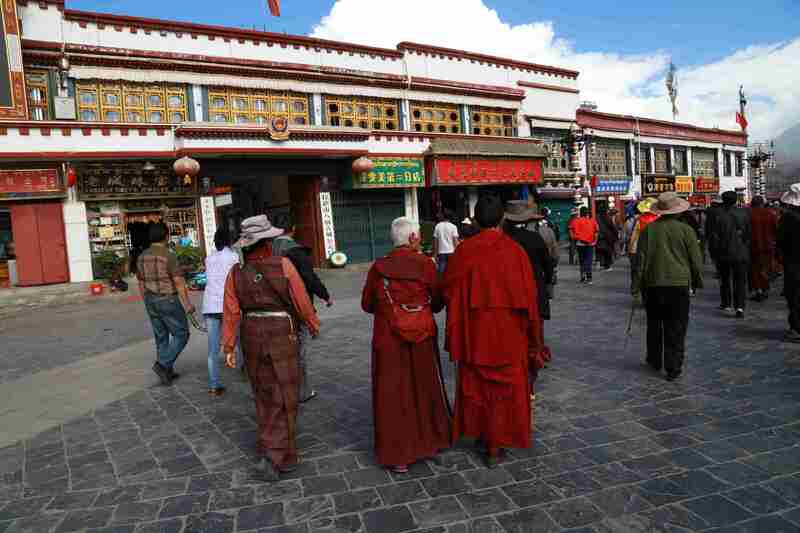 In the afternoon, your guide will arrange porters and yaks for your luggage during trekking. 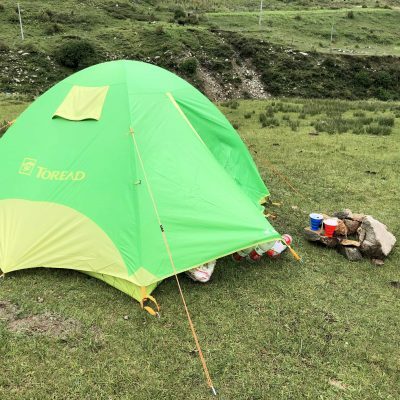 Take a good rest and prepare to trek next day. 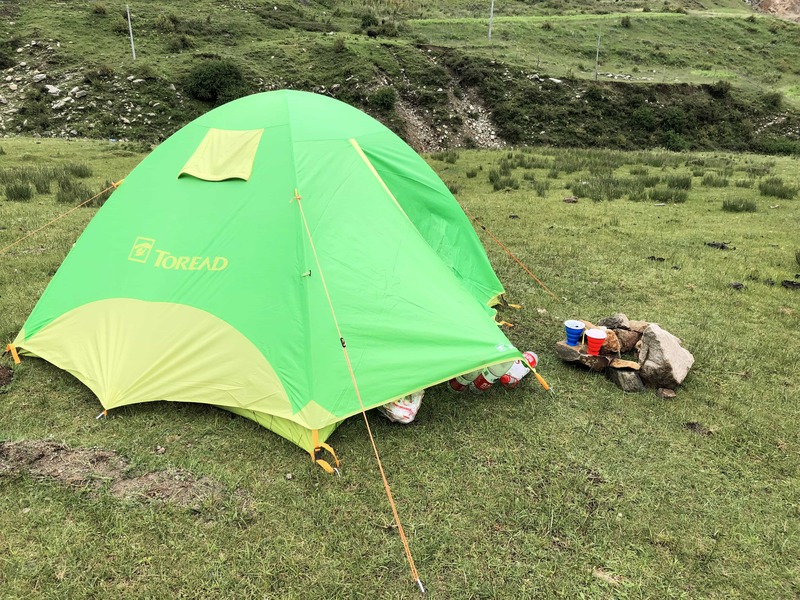 We are staying at the camp site beside Trubshi village located nearby. 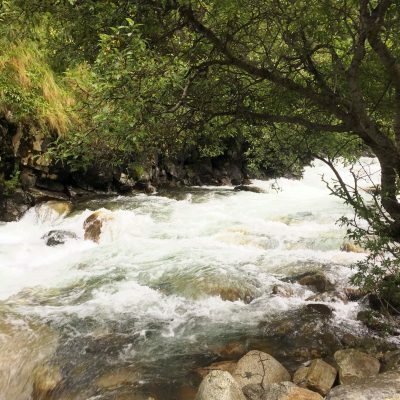 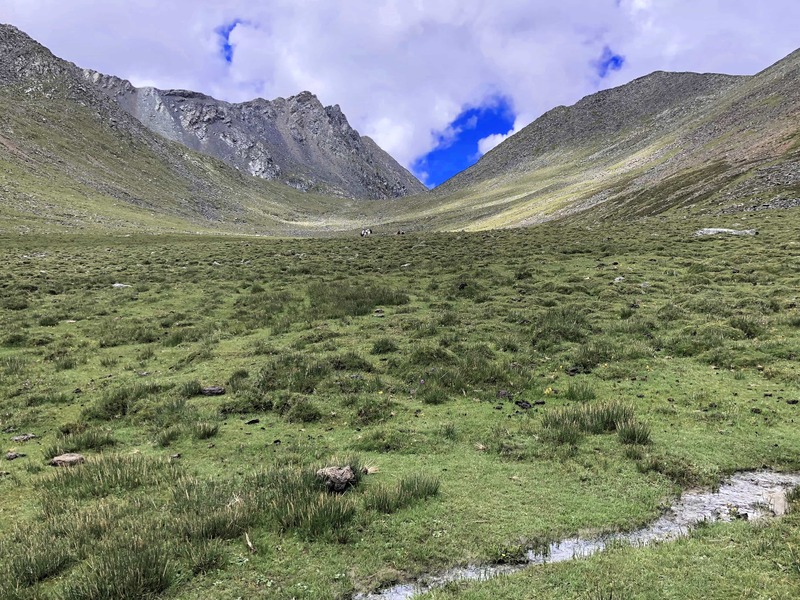 Day 5 Trek from Ganden to Yama Do ( 17km, 5 to 6 hours ). 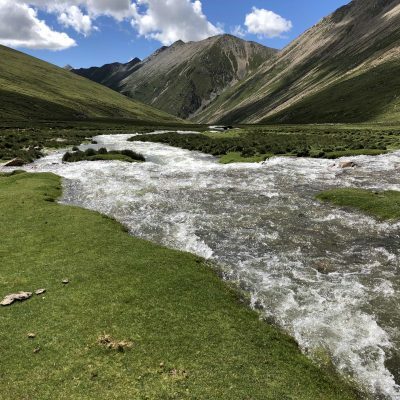 Today we start trekking from Ganden towards Yama Do village. 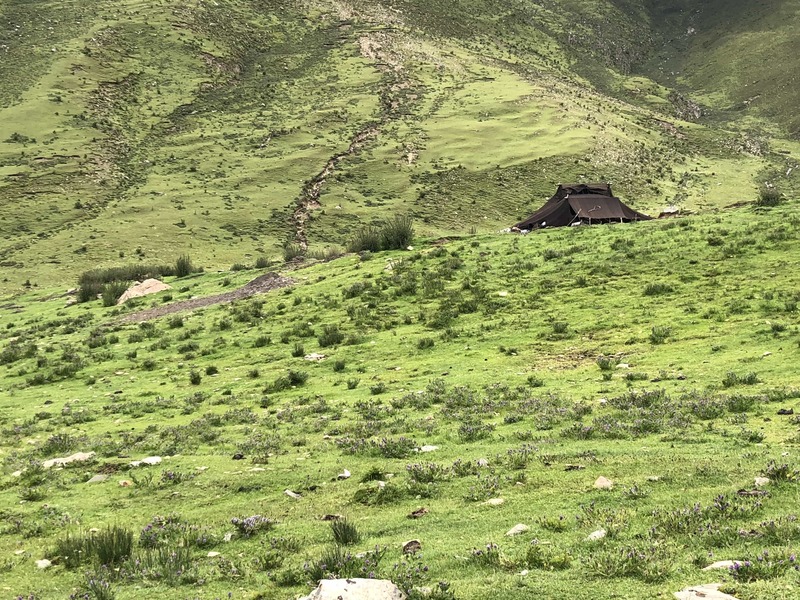 We will be passing by Trubshi and Hepu villages and numerous small nomad’s settlements. 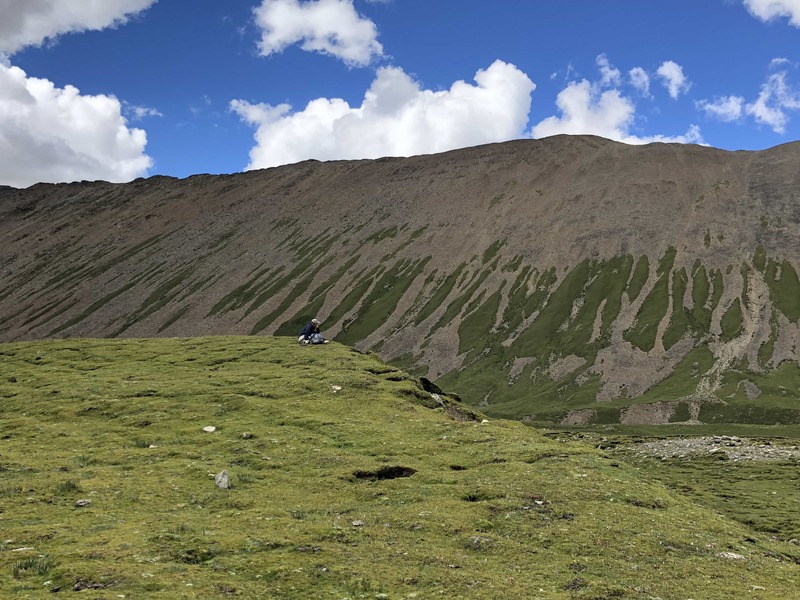 We will steadily climb up the hill and for the first time get the view on the Shuga-la pass, the highest point of the trek (5,250 meters). 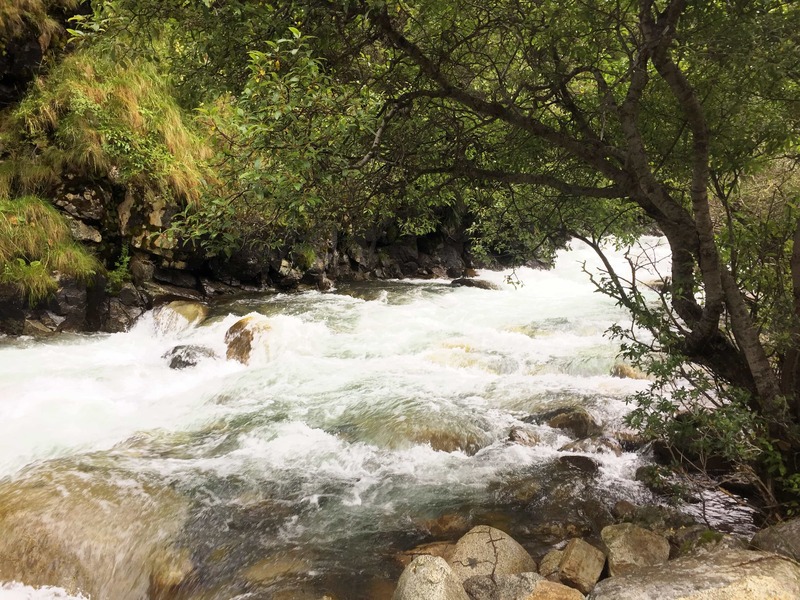 The road today is very pleasant. 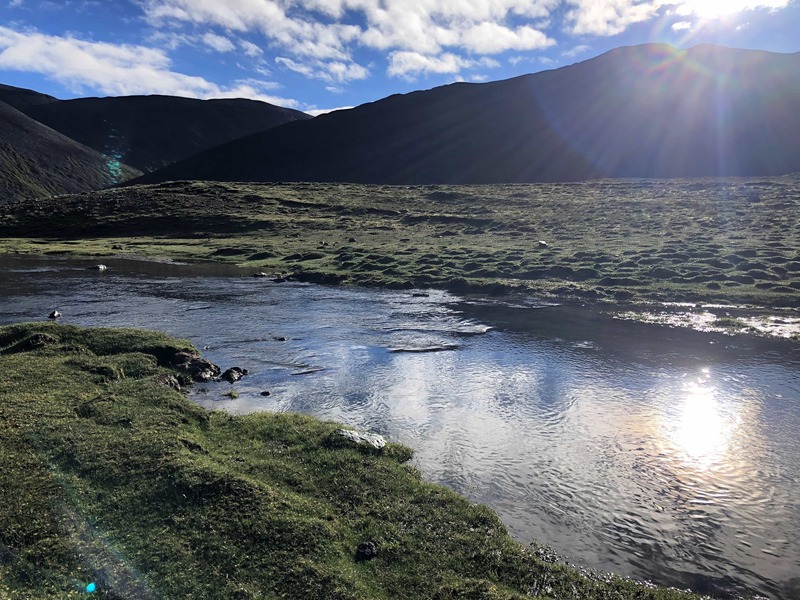 We will be following the path through the valleys, cross the mountain river bridge and start ascent to the Yamo Do village. 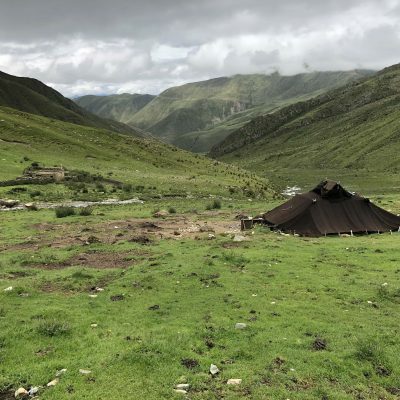 We will set up our camp there and stay for the night. 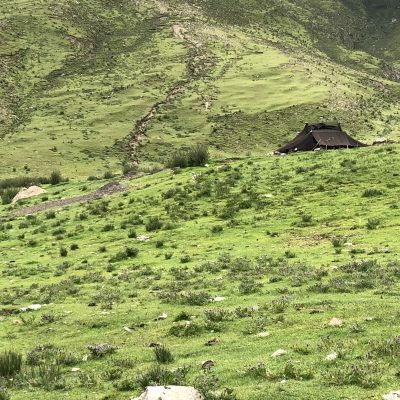 In the morning we will continue the journey towards Shuga-la pass (5,250 meters). 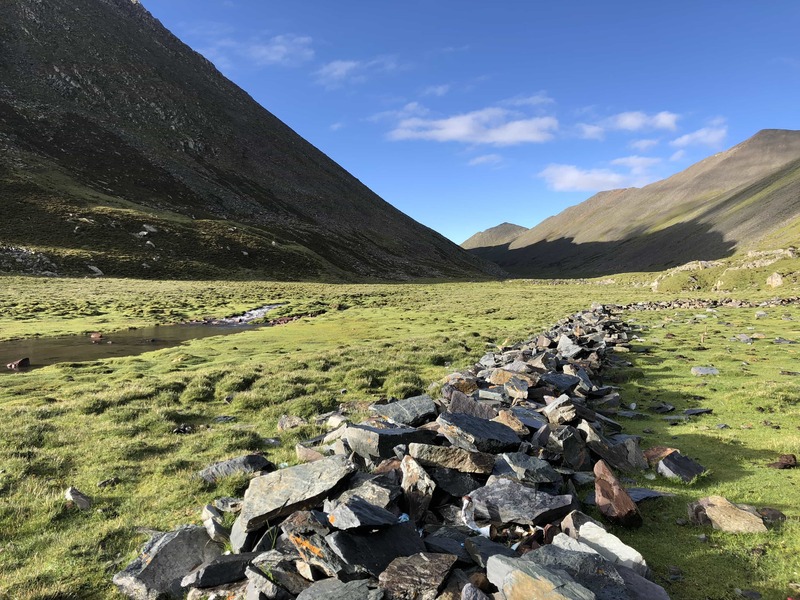 The road changes as we now walk through rocky hills and many streams (especially during the rainy season). We will take our last look at the Ganden monastery still visible in the distance before climbing up to the pass. 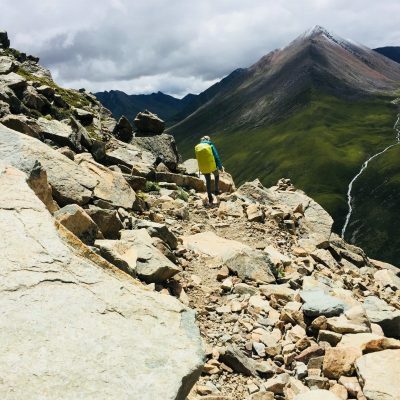 From the top of the pass you will see an incredible view on the valley below. 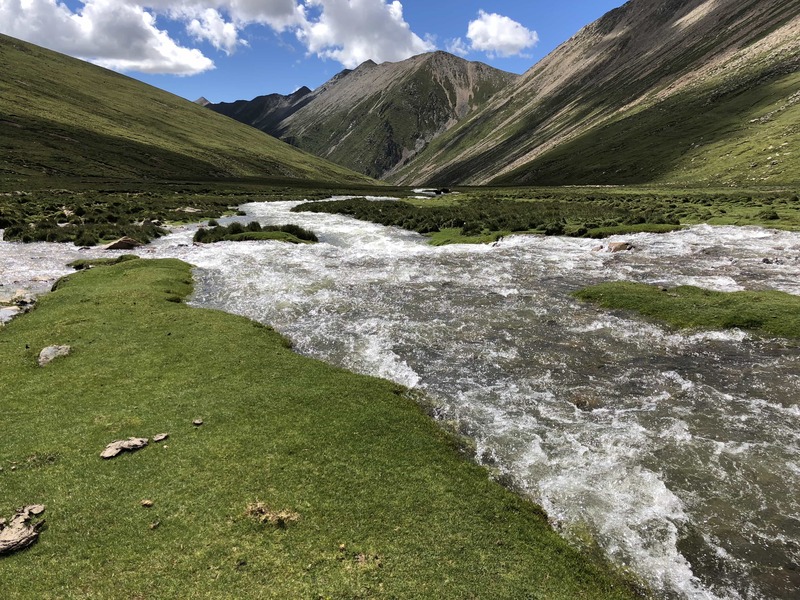 The fast mountain river is running at the bottom of the hill. 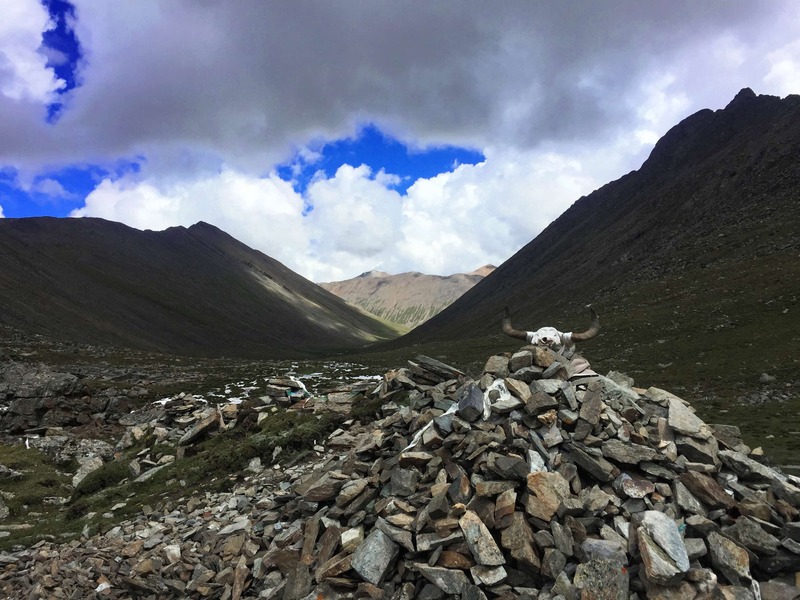 Our way is lying to the East from the pass, taking us towards the Tsotup-chu valley. 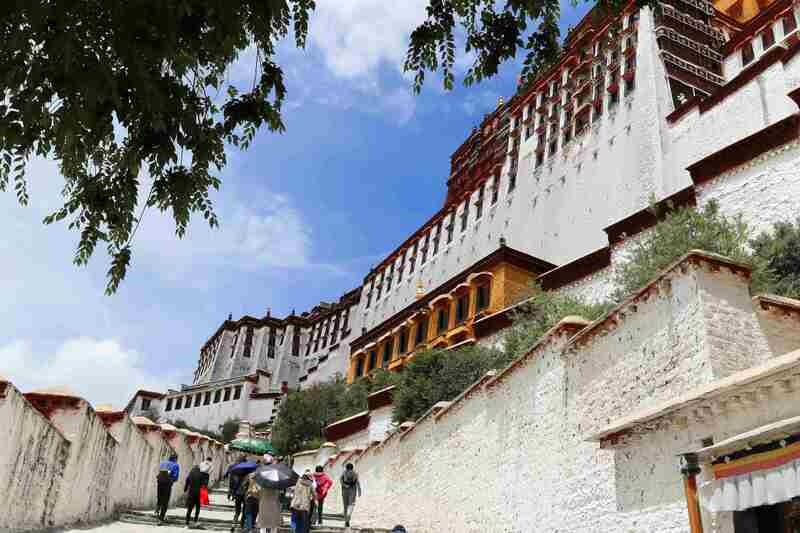 While the river is leading to the West where there is short way out to Lhasa. 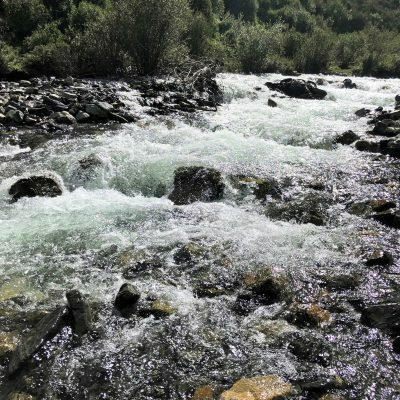 When we reach the bottom of the hill, we will cross the river. 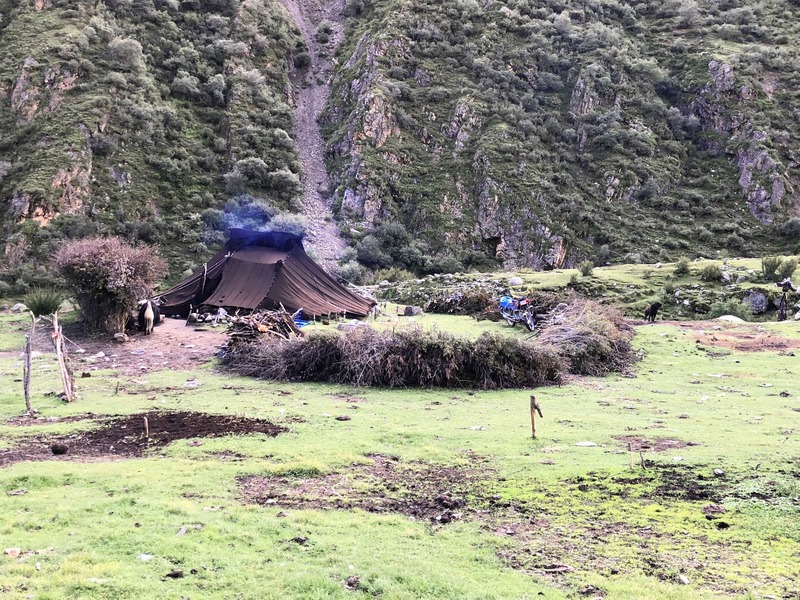 There are usually some nomad’s camps in the valley, and it is a nice place for camping. 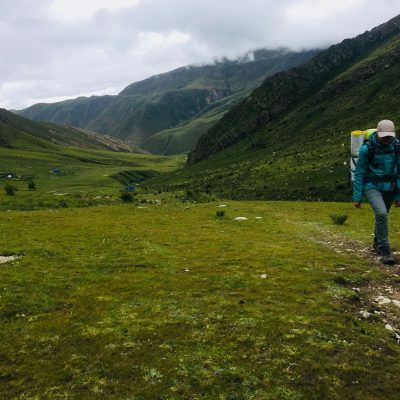 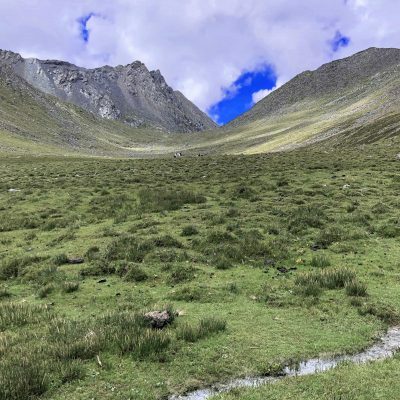 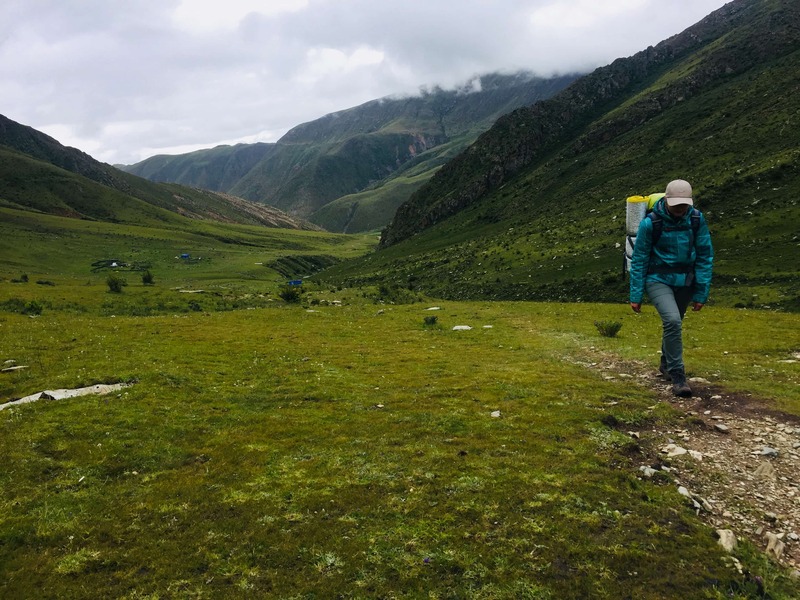 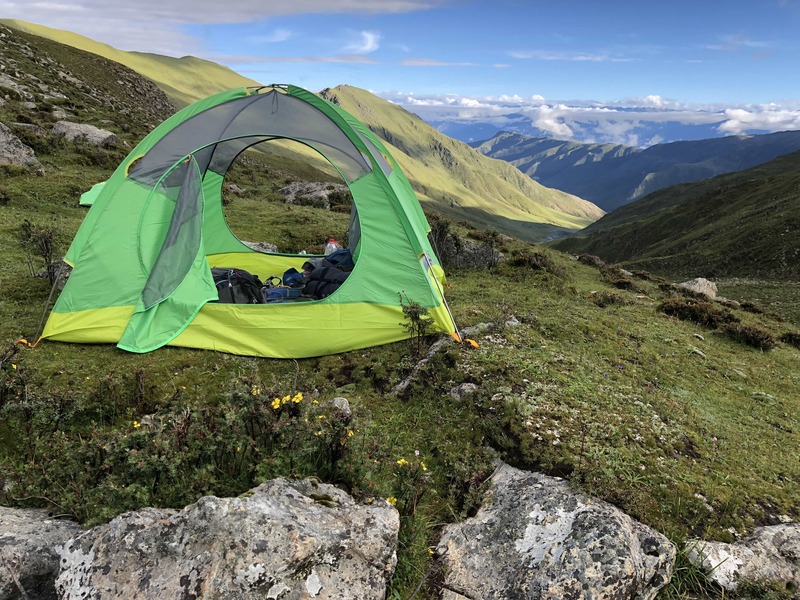 However, depending on the time of the day, we can continue trekking for another 15-20 minutes to reach the campsite (5,050 meters). 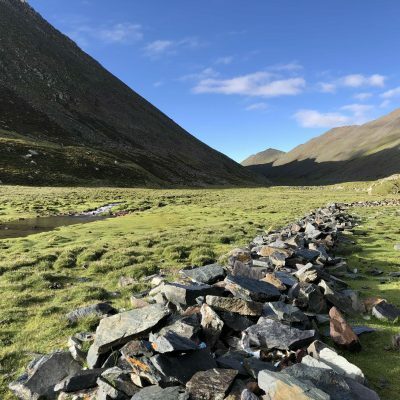 The area is flat near the river and stone barriers. 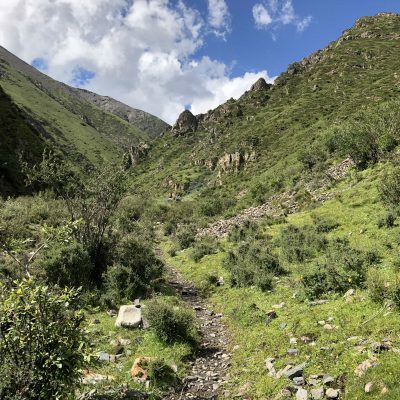 Today we start trekking towards Chitu-la pass, the second highest point of the trek (5,210 meters high). 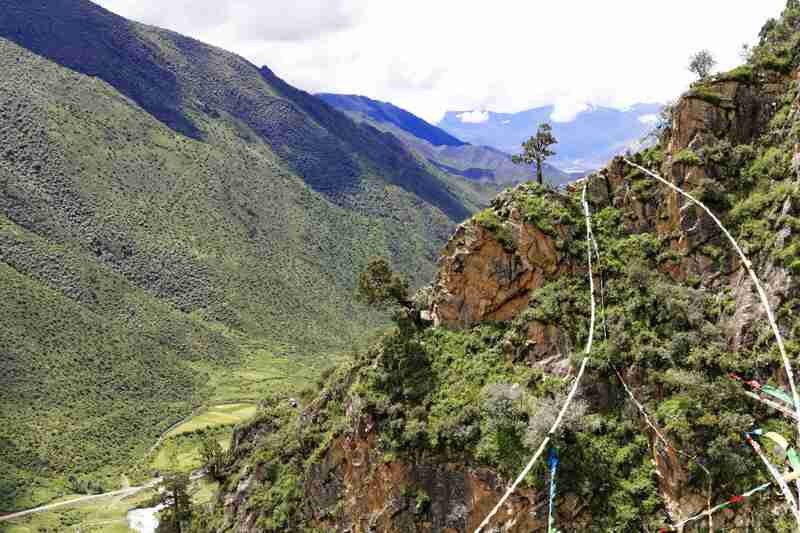 The ascent is much easier and shorter compared to Shuga-la pass. 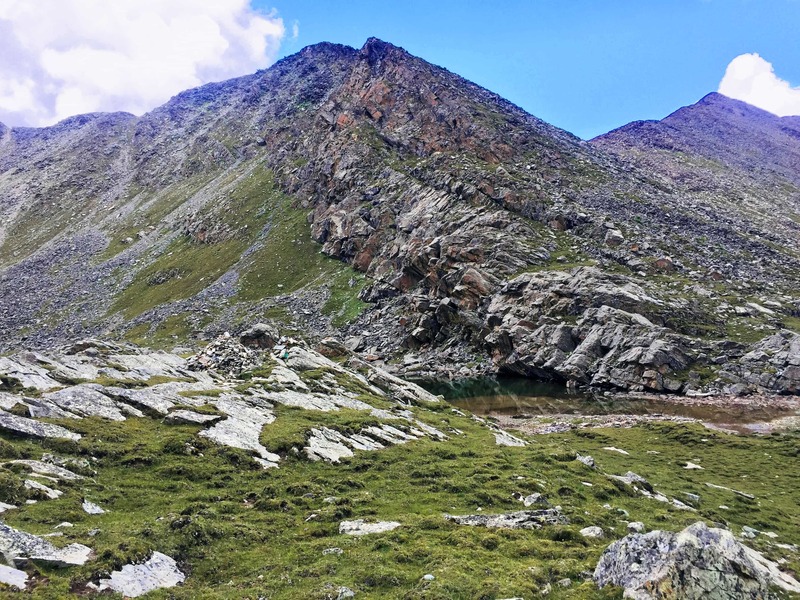 Soon we will reach the top from where you will get an incredible view on three lakes. 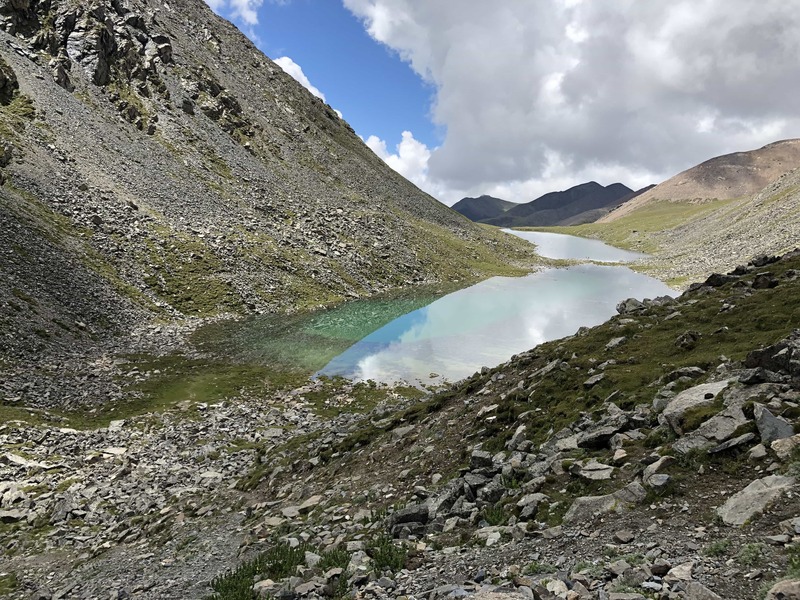 The first lake will be on the top of the mountain and we will walk by it on the way down to the valley with the other two lakes. 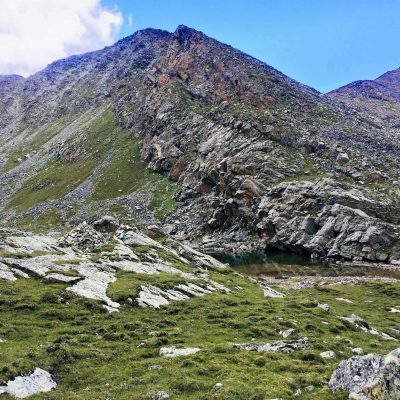 After steep descent we will walk along the lakes and after that continue down to the river and the rocky valley. 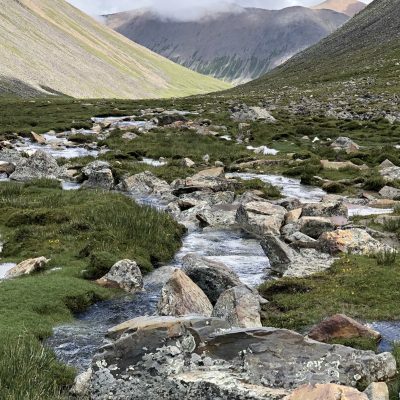 From now on we will be slowly descending and the landscape starts to change. 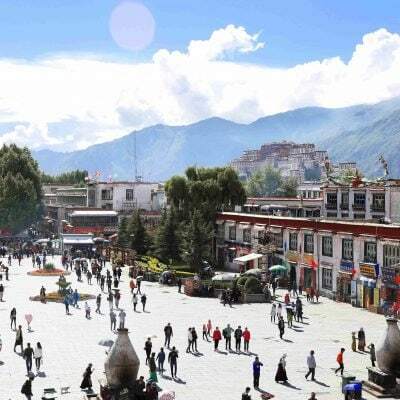 We will see more greenery and forest with tall trees. 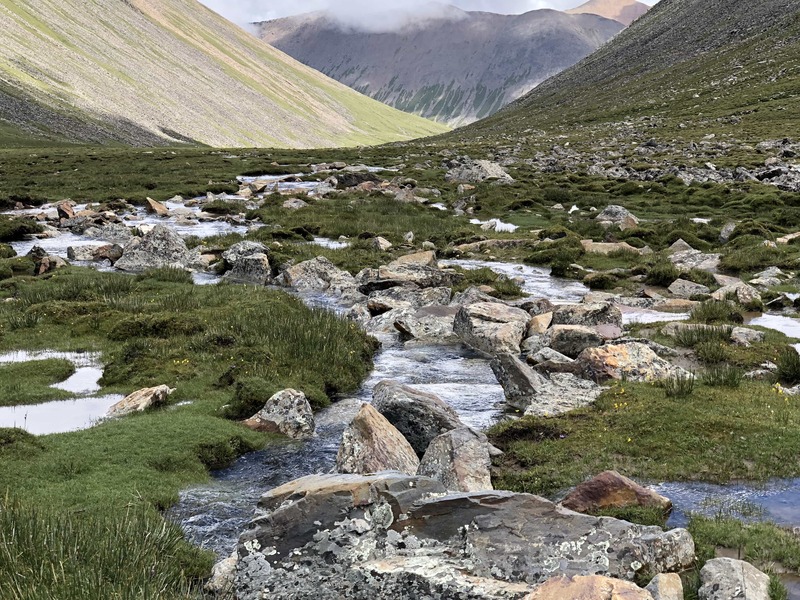 After we pass the rocky section, we will find ourselves in vast valley with two rivers. 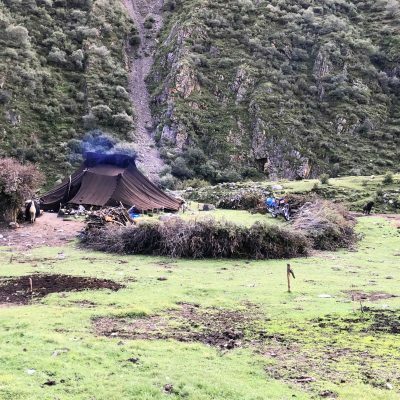 We will start seeing many nomad’s tents on both sides of rivers. 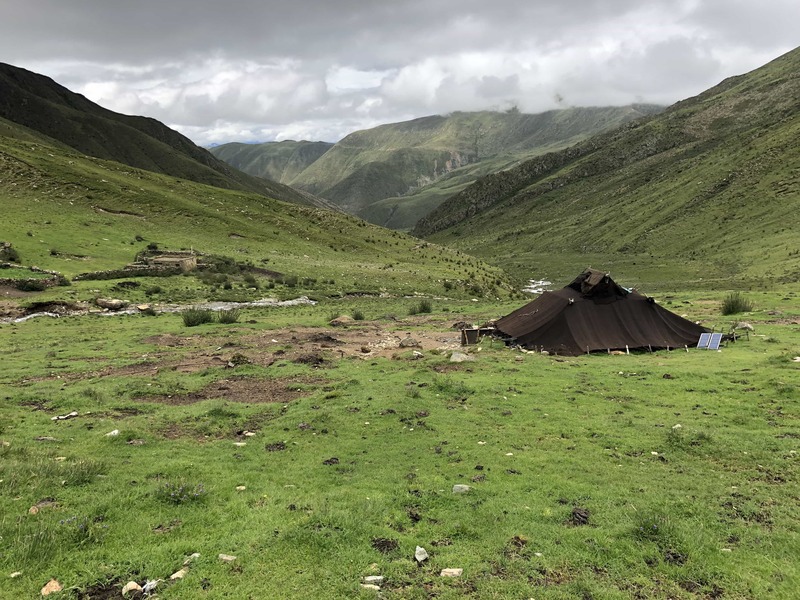 We will settle in the herder’s camps area by the river for the night. 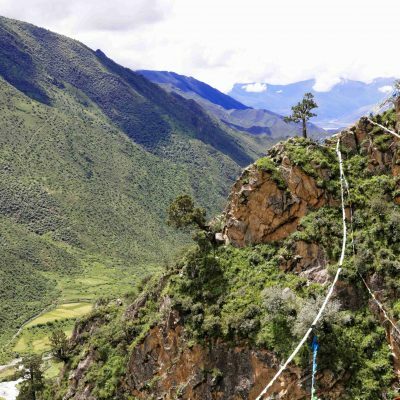 Today we will continue our descent. 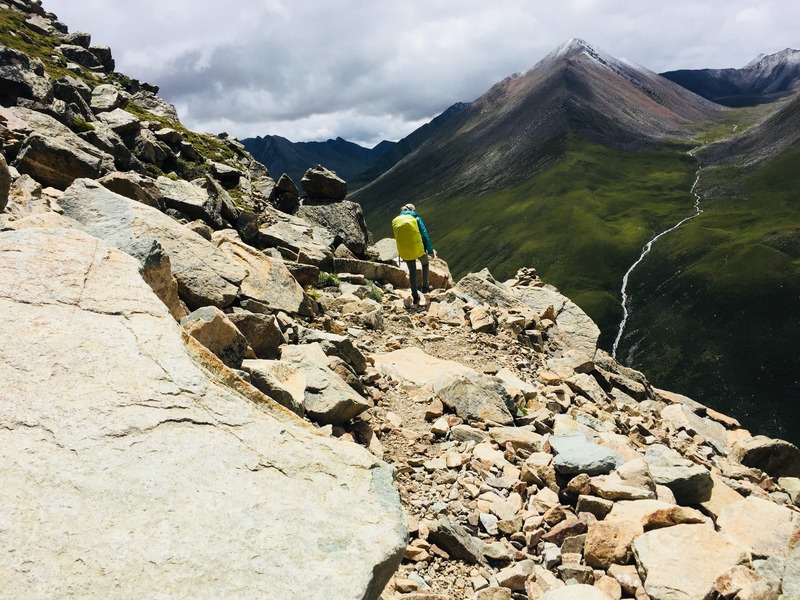 The path becomes wider. 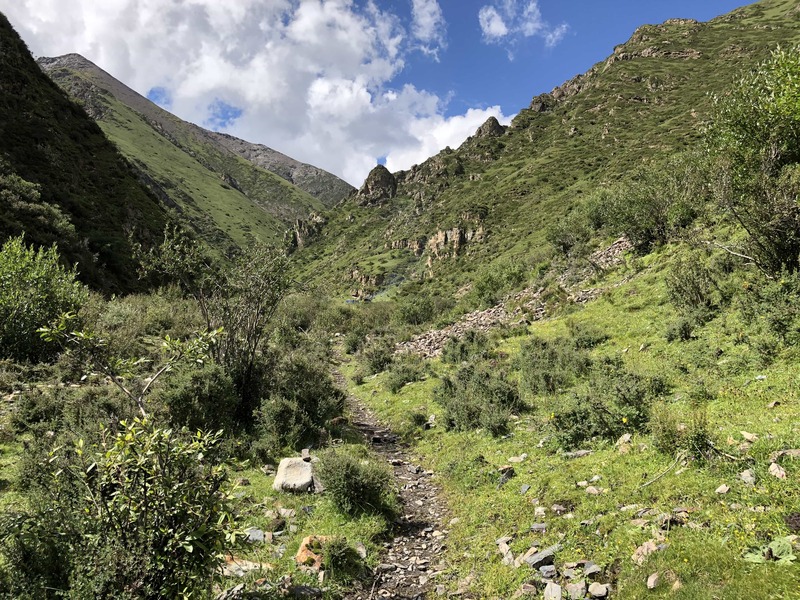 It is one of the most beautiful parts of the trek. 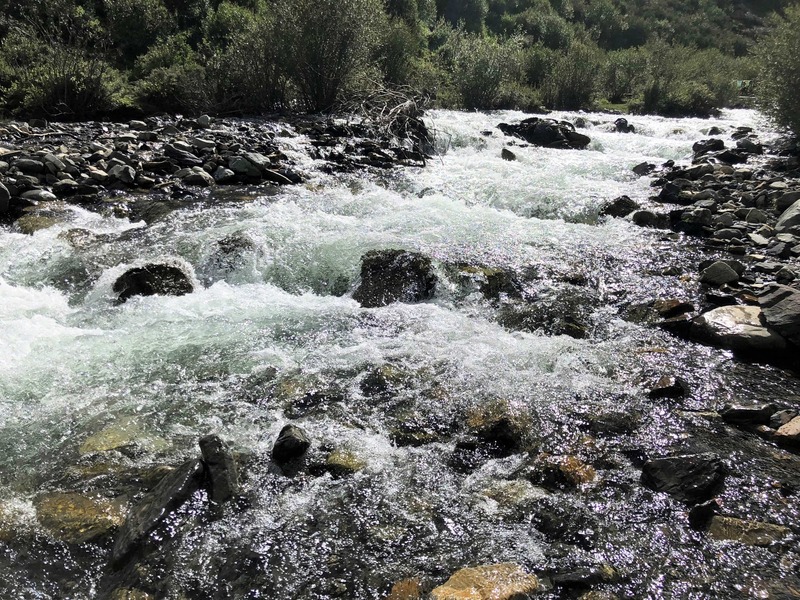 We will be walking along the fast mountain river, surrounded by forest. 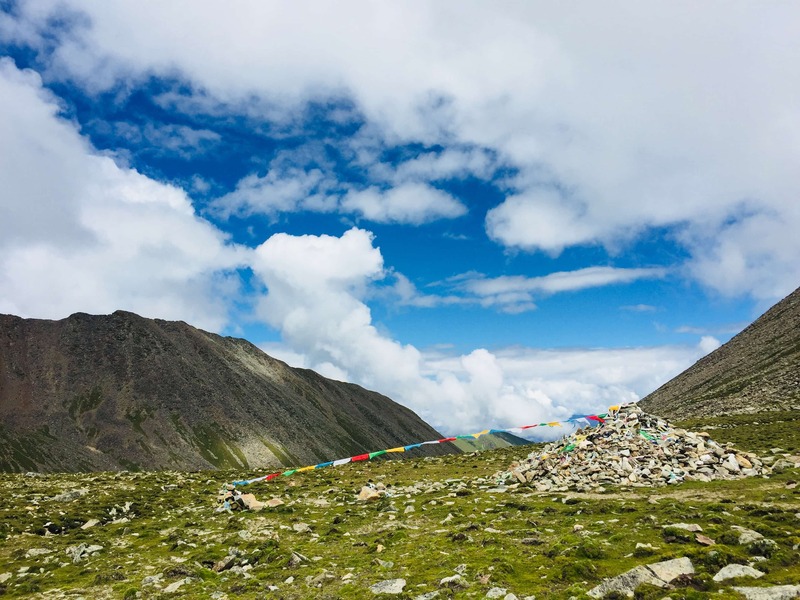 As we descent more than 1,200 meters, the weather gets warmer. 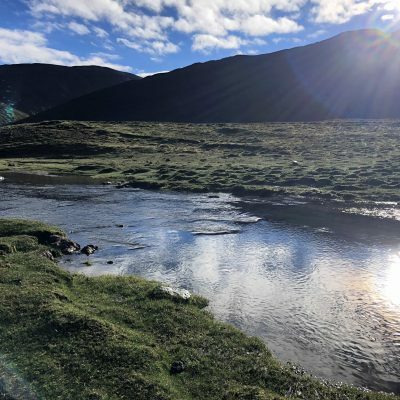 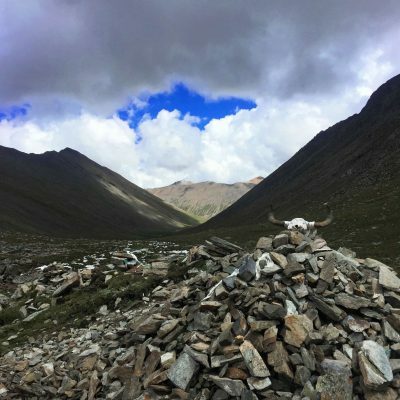 We will reach the first permanent Tibetan village in the afternoon, and from there it will be only a short walk to Changtang village. 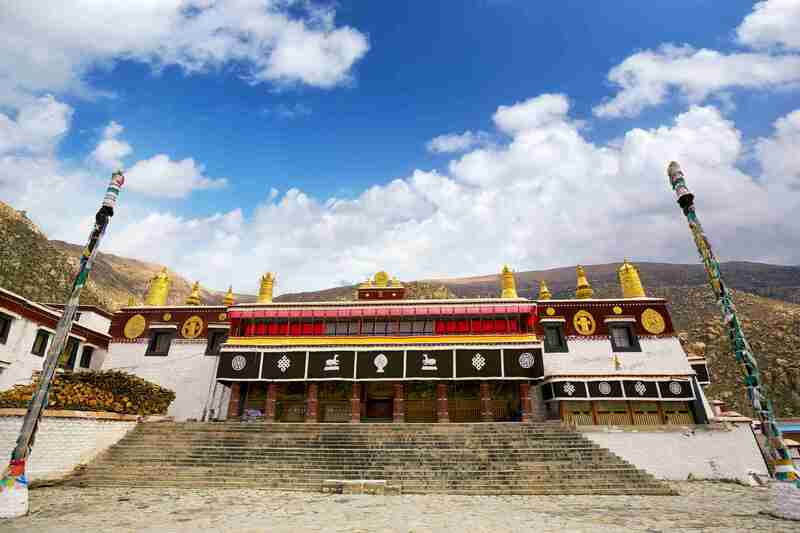 From Changtang we can climb up to visit the Yemalung Hermitage site with the active nunnery and meditation caves. 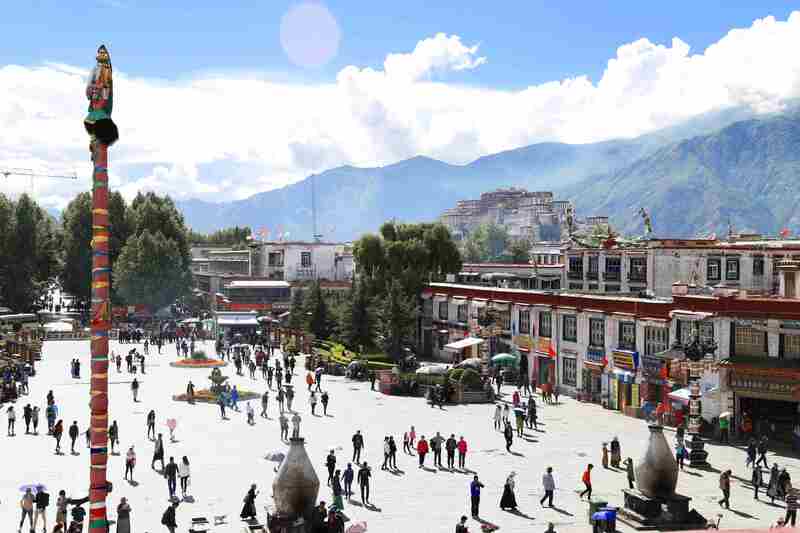 Alternatively, we can rest in the tea house and have lunch. 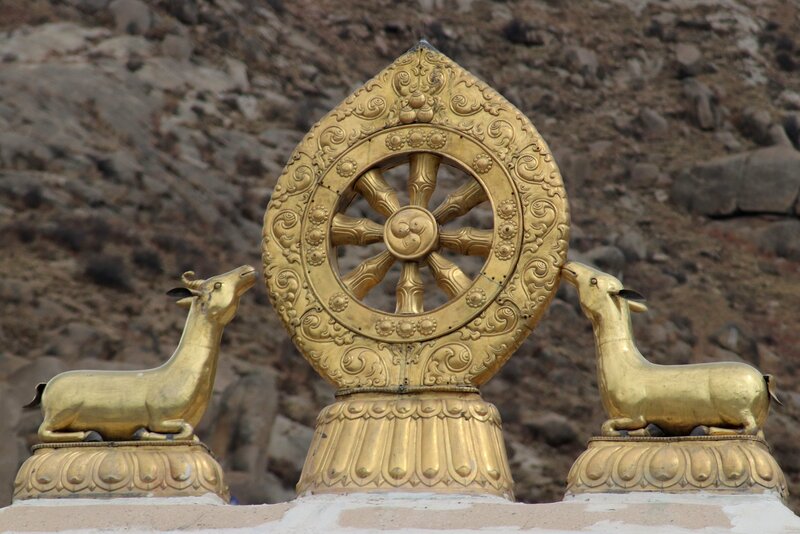 We are now only 16 km away from Samye. 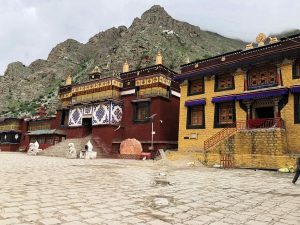 Driver will take us to the monastery hotel, where will rest. 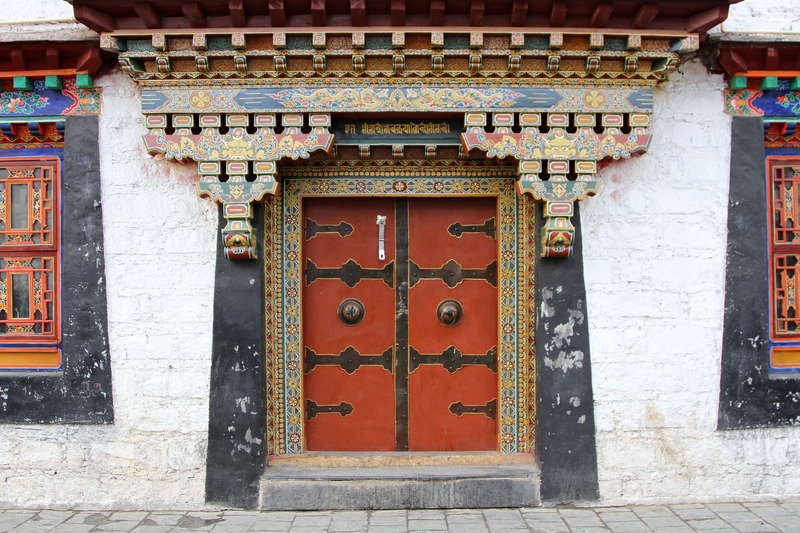 If time permits, we can visit the Samye monastery, alternatively we will visit it in the morning next day. 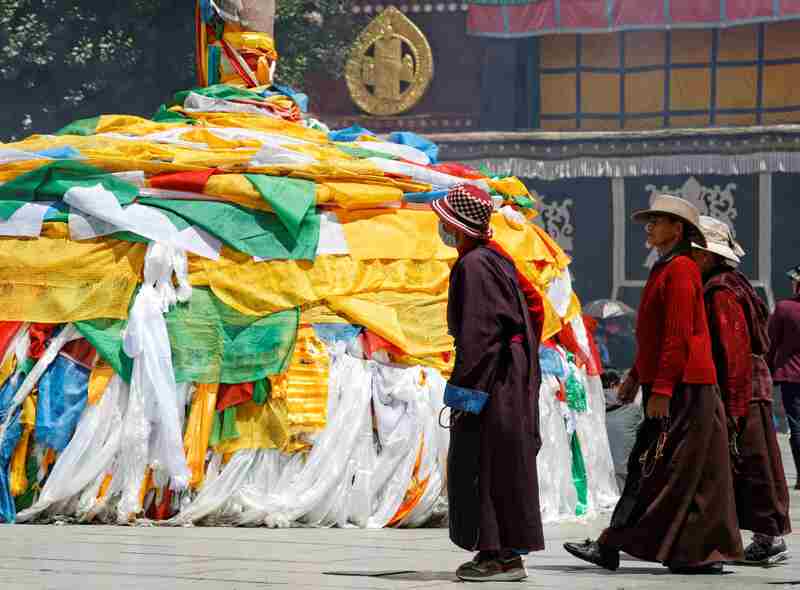 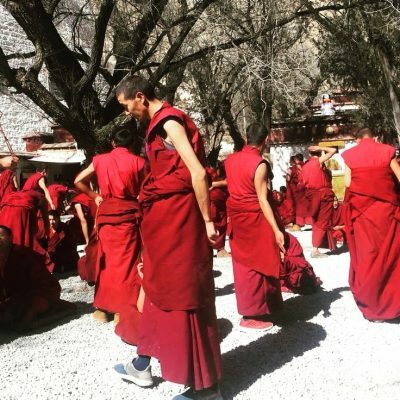 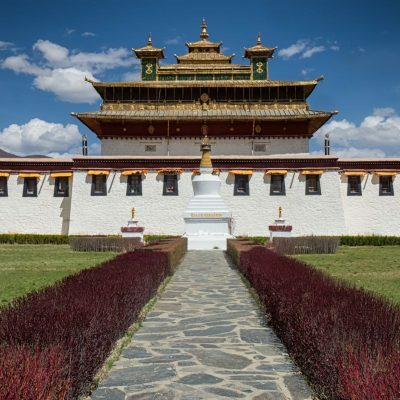 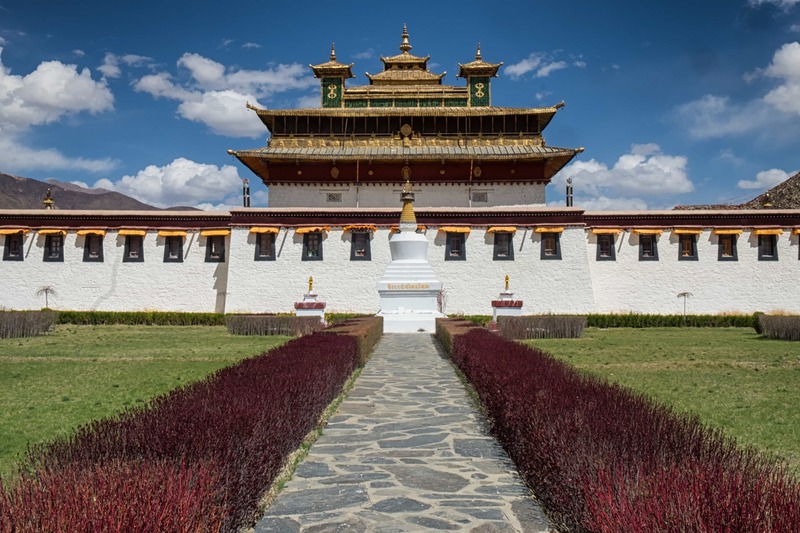 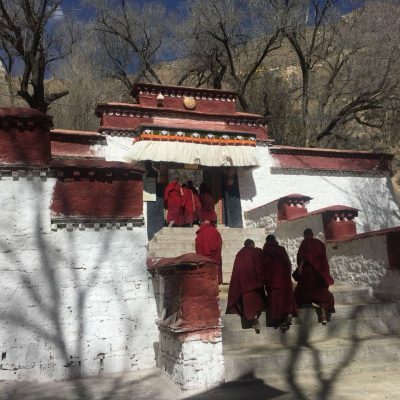 You can freely walk around the monastery complex or walk a kora (circumambulation) around the monastery wall. 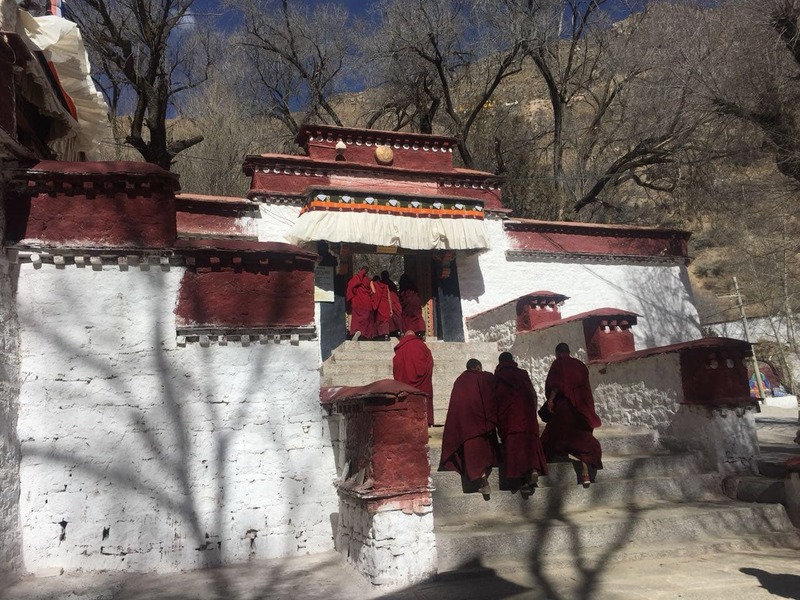 Day 9 – From Samye monastery to Tsedang: Samye monastery, Yumbulakhang. 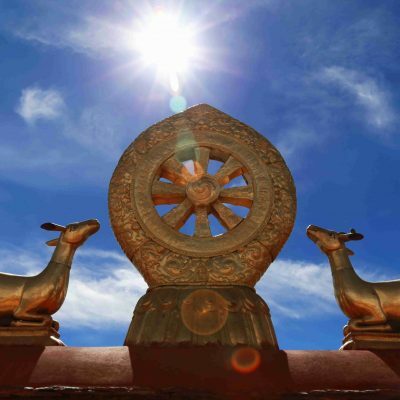 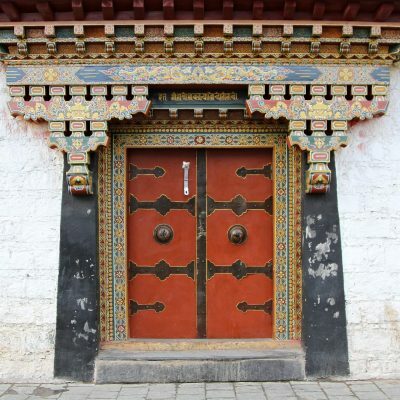 We will start our day by visiting the Samye monastery. 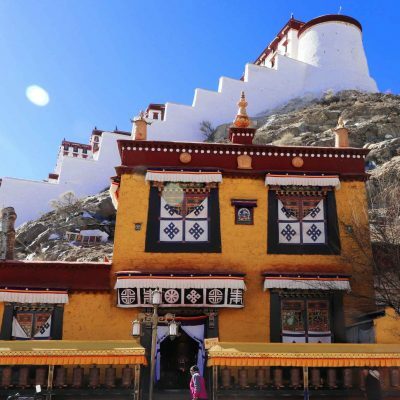 It is the first Buddhist monastery in Tibet built in the 8th century. 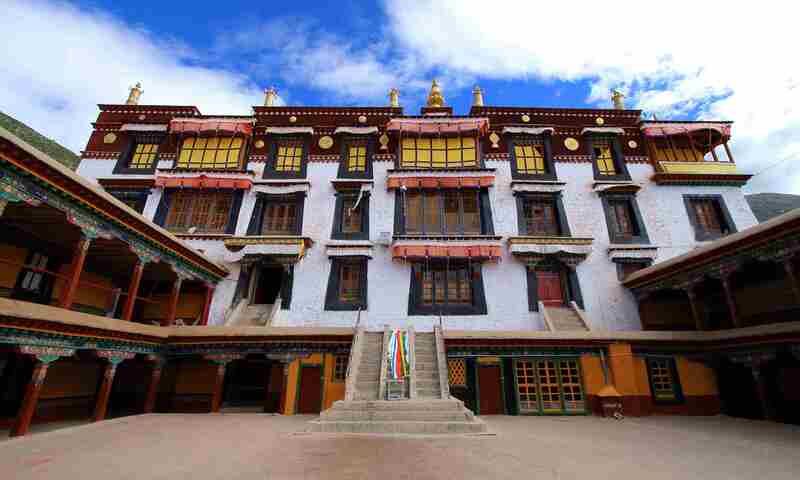 The monastery complex is incredibly beautiful. 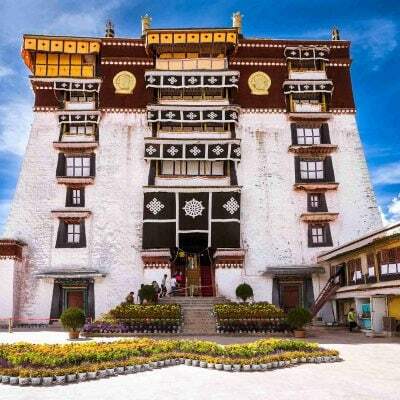 It resembles the universe with the main temple Utse representing Mount Meru, four continents and subcontinents, and the Sun and the Moon temples. 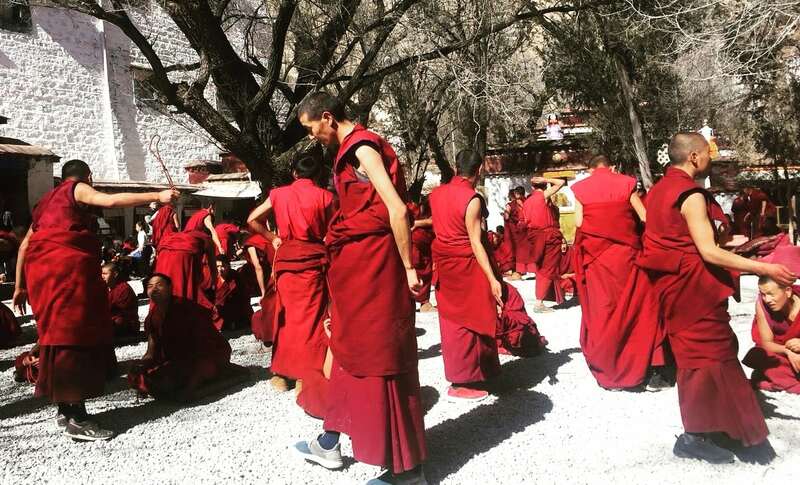 There is a beautiful park and a debating courtyard where monks master their knowledge. 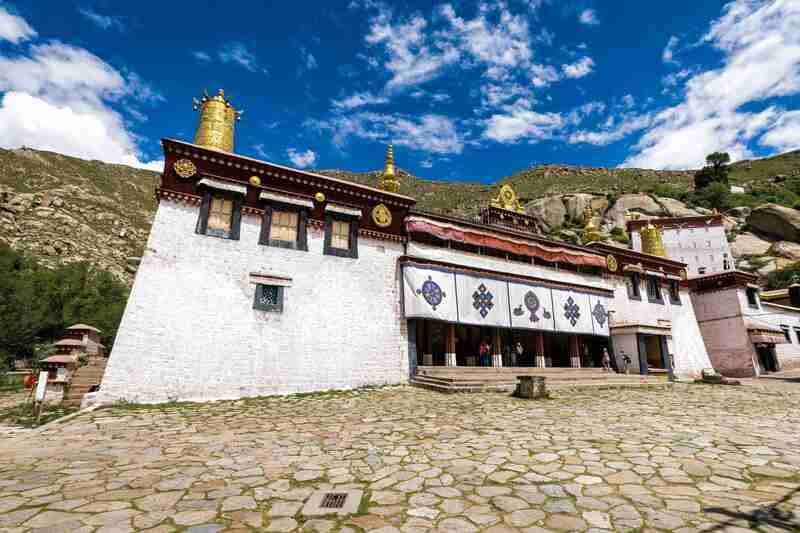 After visiting the monastery we will drive to Tsedang. 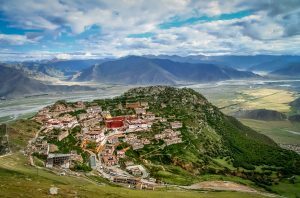 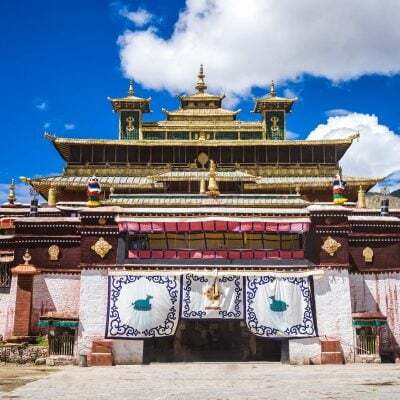 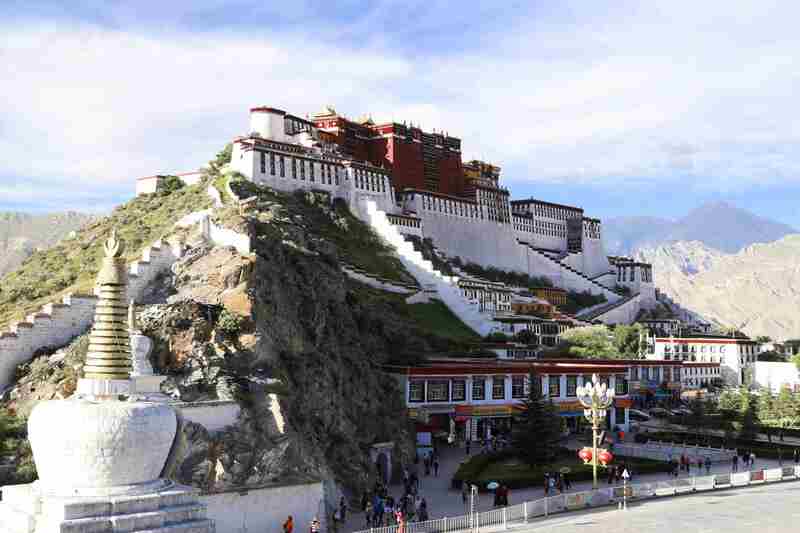 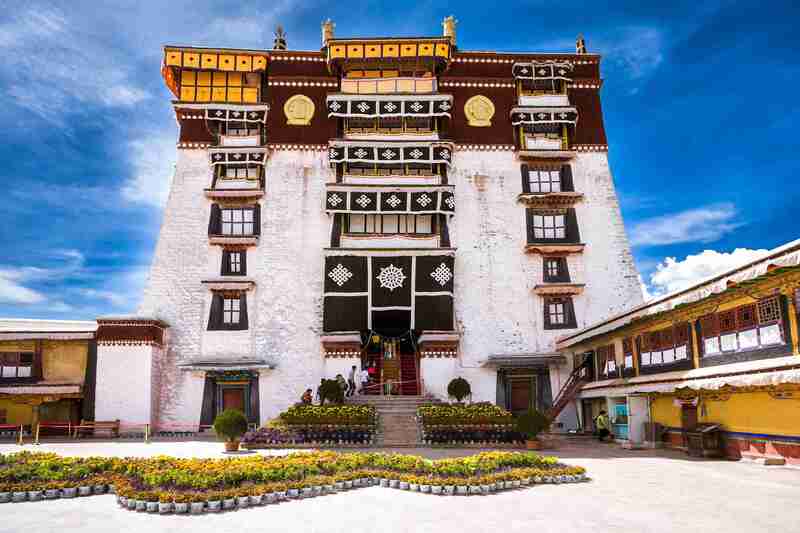 Before reaching it, we will visit the first fort and the oldest building in Tibet – Yumbulakhang. 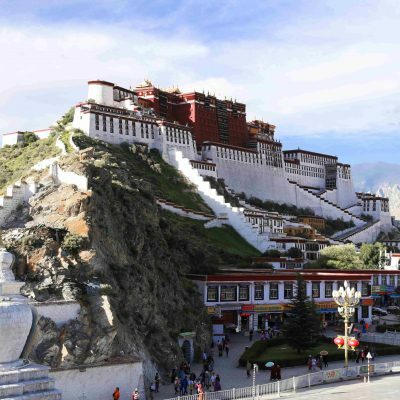 The architectural style is different from everything else that you previously saw in Tibet. 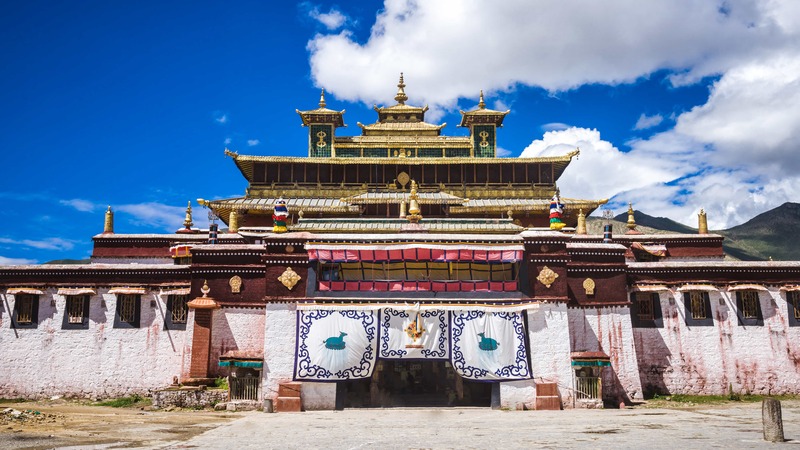 Yumbulakhang was the first palace for Tibetan kinds before the Potala Palace construction. 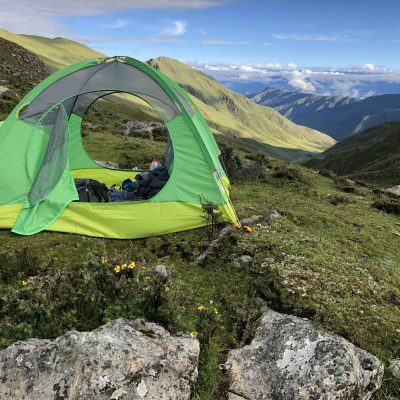 We will stay in the hotel in Tsedang overnight. 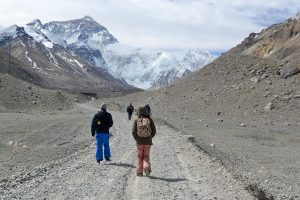 Day 10 Tsedang to airport. 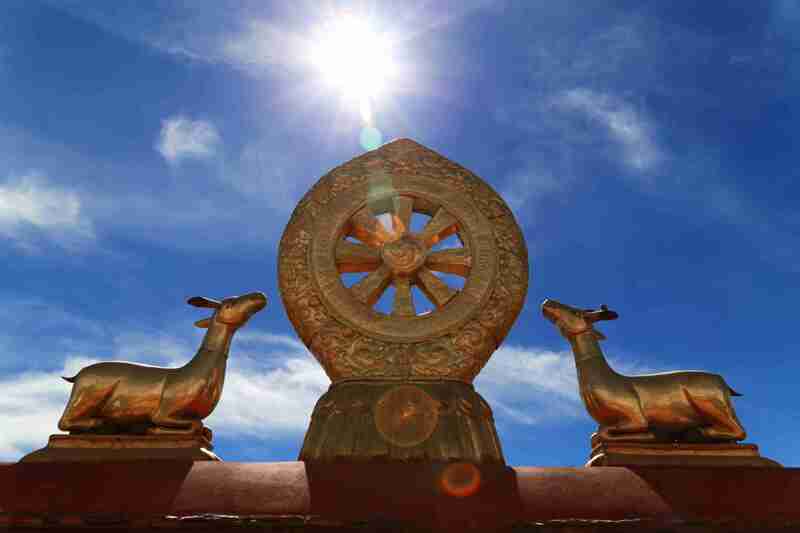 Today we are driving to the airport or train station. 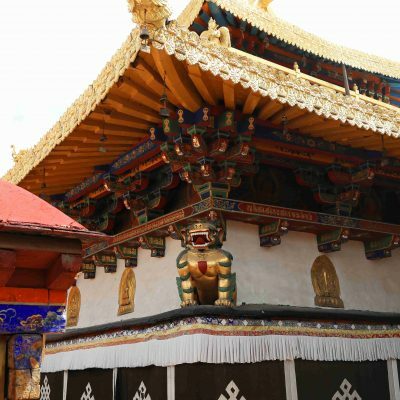 Tsedang is approximately 2,5 hours away from the airport and 4 hours away from the train station.